English translation of the extensive article «Загадки и мифы советской индустриализации» by V.Y. Katasonov prof., Etc. e. n., chairman of Russian Economic Society them. SF Sharapova had been posted on the website www.ru-facts.com. Here — the 1-st part, the remaining parts can be found on the specified site. About prewar industrialization in the USSR written dozens of books and thousands of articles. But full clarity on many issues of this period of our history is still no. One of the most difficult puzzles boils down to this question: what money to industrialize? What is written in thick textbooks and monographs, meet the meticulous reader can not. There usually contains a standard set of phrases about the “robbery of the people”, “exploitation of the peasantry”, “free” (or “almost free”), the labor of those who worked in the construction of five-year plans. Sometimes even in addition to that referred to that used gold and currency reserves, which we obtained from the export of wheat (bread). And the point. Descriptions can be multipage, but the essence of the response was reduced (and reduced) to the above set of explanations. Nobody argues that in the first half of 1930 there was a decrease of living standards of our people. This was due to the need to mobilize all resources for industrialization. And no one argues that we took out the gold abroad and exported grain. All of this was. But this clarity of understanding the overall picture of the recognition of this does not add up. Why? Because these sources could cover only a portion of all foreign exchange costs of industrialization. Quite a bit to work with the calculator to verify this. 1. 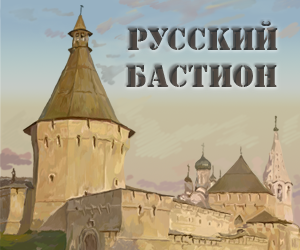 Number of plants built or renovated in the period of industrialization before the Great Patriotic War, is about 9000. Almost all objects industrialization used imported equipment, which could only be paid in gold or currency. 2. Foreign currency costs for the purchase and installation of imported equipment on large objects industrialization reached tens of millions of dollars (in dollars and prices at the time). On average exchange cost per one object of industrialization could be about a million dollars. Roughly the same estimate and give some experts. Looking ahead, we note that the main part of the purchase of imported equipment were held until 1934, when the gold parity of the dollar value determined by “1 troy ounce of the precious metal = 20.67 dollars.” It is easy to calculate that the gold equivalent average cost of imported equipment in per facility were half tons. It turns out that the foreign exchange costs of industrialization in gold equivalent amounted to 1.5 tons x 9000 = 13,500 tons. Who came to the White House’s new president Franklin Roosevelt issued the decree changed the gold parity of the dollar. Since 1934, one troy ounce of gold was 35 dollars. Even if we recalculate the new parity, the gold equivalent costs for the purchase of imported equipment for industrialization was approximately 9,000 tons. Average of gold equivalent to the cost of import of equipment for the industrialization of the USSR is 11 250 tons. 9000 enterprises were built in the period 1929-1940 years. Consequently, the average per one year prewar five-year expenditure on imports of gold equivalent were approaching 1,000 tons. 3. Did the USSR such funds in the currency and gold on the eve of industrialization? To start, here’s a “control” figure as the gold reserves of the Russian Empire on the eve of the First World War. He was a record in the history of the Russian state in 1914 slightly exceeded 1,300 tons. And what was the stock of gold in the USSR? Here are the official data of the time (t): 1925 — 141.2, 1926 — 118.7, 1927 — 127.5, 1928 — 178.6, 1929 — 138.2. International reserves (gold, silver, platinum, foreign currency) of the State Bank of the USSR were the following volumes (million rubles at the beginning of the year): 1925 — 344.3, 1926 — 282.1, 1927 — 303; 1928 — 304.3, 1929 — 304.3, 1930 — 391.1. Of course, the question of how to count the Soviet ruble in dollars or gold, rather confusing and muddy. But most researchers in relation to the period of time used rough proportion “$ 1 = 2 rubles.” It turns out that on the eve of the beginning of industrialization and international reserves of the State Bank of the USSR accounted for approximately $ 150 million in gold equivalent is equal to about 225 tons of pure metal. The question is: whether it was possible to start an ambitious program of industrialization with such modest resources starting? Was not the industrialization adventure? 4. Now to the question of export revenues and the Soviet Union before the beginning of industrialization. Based on official statistics and data Commissariat (Ministry) of Foreign Trade, we obtain the following information about these revenues in gold equivalent (tons): 1925 — 470; 1926 — 561, in 1927 — 577, 1928 — 622; 1929 — 715. Incidentally, my assessment of export revenues USSR look good. Some other experts give lower values. But I dare say that these export revenues barely enough to “plug” the most serious “holes” in our domestic market. Soviet Union abroad purchased a variety of food and industrial consumer goods and pharmaceuticals. Besides, vehicles (primarily locomotives, cars, cars), agricultural machinery, industrial raw materials (many non-ferrous metals and even steel), machinery and equipment (not for industrialization, and to replace retiring in existing enterprises) and the like. In Sweden, was purchased even coal for industry and municipal economy of Leningrad. comes from exports currency only barely enough to cover the most pressing current needs for equipment for new businesses simply had no currency. Even if 100% of export revenues (those that the Soviet Union had in the second half of the 1920s) were heading for the purchase of machinery and equipment, this would not be enough to build and put into operation 9000 enterprises. < p> 5. Another stroke to the economic picture on the eve of industrialization. Despite the fact that many Western countries formally declared the Soviet Union credit blockade, while they still provide us with loans (the reason for this inconsistency of the West — a special topic of conversation). So the USSR at the official launch of industrialization was already burdened with some debt. overall picture I have no debt. However, it is known that by 1929 the debt of the USSR only to U.S. private firms was at least $ 350 million. In gold equivalent is 525 tons of metal, that is, about the USSR annual revenue from exports. In the 1920s, the balance of foreign trade of the USSR was mostly negative. Close the deficit could be using either gold or bank and commercial loans. But gold reserves in the state almost was not. Therefore, probably, the Bolsheviks resorted to borrowing, external debt of the USSR tended to increase. As a result we have the following. First, no “fat” in the form of gold and currency reserves for costly industrialization of the Soviet Union was not. Second, export revenues for the purchase of machinery and equipment was not enough. In addition, almost no possibilities for redeployment of scarce foreign exchange earnings in favor of industrialization was not. On the strength of Soviet foreign trade balance showed a growing deficit and external debt. 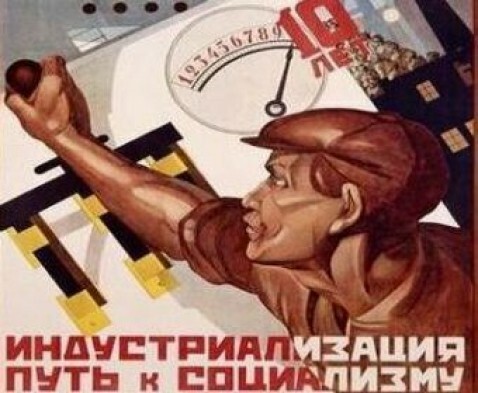 Many party and state leaders of the USSR of the 1920s believed that the only way to ensure the program of socialist industrialization required currency has been a dramatic buildup of Soviet exports. From the world above calculations show that to achieve this it was necessary to increase the value of Soviet exports of gold equivalent at least 1,000 tons, that is two and a half times. In our historical and economic literature as times and said that Stalin’s industrialization was carried out by the forced export of various commodities. Often, even said that the currency for industrialization was obtained through the export of a single commodity — grain. This version is now very popular among critics of Stalin. Like, “tyrant” for the sake of industrialization in the country accept the “Holodomor». But the idea that industrialization was carried out entirely by the export of goods not supported by documents and statistics. At best, this version. And maybe even a myth. About this version (myth), it makes sense to talk separately.